Daimler will begin production of its first full-electric vehicle, the EQC SUV, early next year. FRANKFURT -- Daimler says it will buy battery cells worth more than 20 billion euros ($23 billion) by 2030 as it readies mass production of electrified vehicles. The company is one of a number of German automakers massively expanding in electrified vehicles as European regulators clamp down on toxic diesel emissions. "With extensive orders for battery cells until the year 2030, we set another important milestone for the electrification of our future electric vehicles," Wilko Stark, who oversees procurement and supplier quality on the board of Mercedes-Benz Cars, said in a statement. Daimler declined to say which suppliers would be awarded the contracts. The company already has battery cell supply deals with Korea's SK Innovation, LG Chem and China's Contemporary Amperex Technology (CATL), as it plans to launch 130 full-electric, plug-in hybrid and 48-volt hybrid vehicles by 2022 in addition to making electric vans, buses and trucks. Daimler needs battery cells as it builds a global network of battery assembly plants in Kamenz, Untertuerkheim and Sindelfingen in Germany, as well as in Beijing, Bangkok, and Tuscaloosa, in the U.S.
Daimler said it was expanding its competence in battery cell research and working on next-generation batteries to cut its dependence on costly rare earth minerals including cobalt, which is mainly sourced from the war-torn Democratic Republic of Congo. 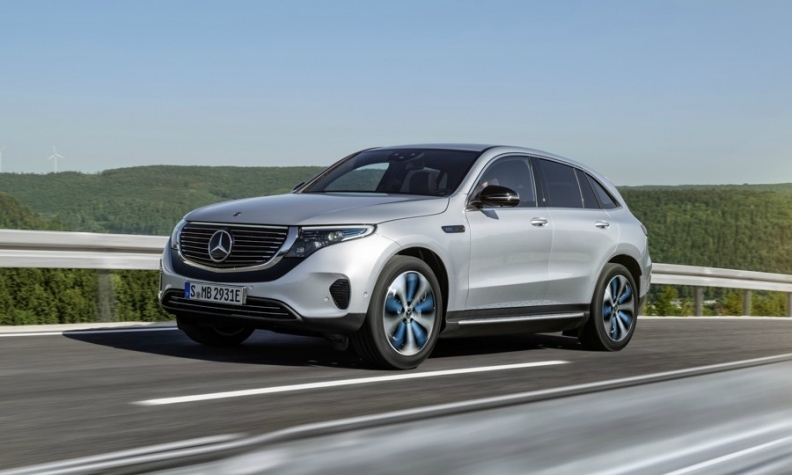 The Mercedes EQC EV, set for a 2019 launch, will use battery cells containing 60 percent nickel, 20 percent manganese and 20 percent cobalt, the company said. Future Mercedes EVs will contain batteries using 80 percent nickel and only 10 percent manganese and 10 percent cobalt, it added. "Our engineers are also working on a ratio with 90 percent nickel, 5 percent manganese 5 percent cobalt in order to reduce the amount of rare earth metals even further," Daimler said, adding it was also working on solid state batteries - which do not require any cobalt - for future products. Chinese automakers use a composition called LFP which has a lower energy density but does without cobalt, while Japanese automakers use LMO, or lithium manganese oxide, which is used by Nissan and LG Chem.